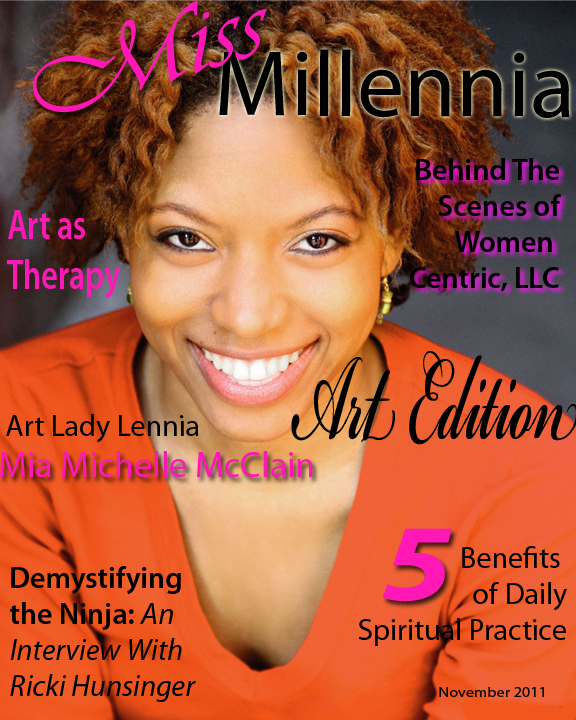 I had the pleasure of catching up with our previous Lady Lennia of our November 2011 Art Edition; Mia Michelle McClain and had a chance to talk to her about what she has been doing lately. It has been a year since she graced the cover of Miss Millennia and I could not wait to get the latest on what she has been up to (since she is always doing something). See what our previous Lady Lennia has been doing this past year! What new projects have you started since you were on the cover of Miss Millennia Magazine? I’ve been a pretty busy lady since last November. 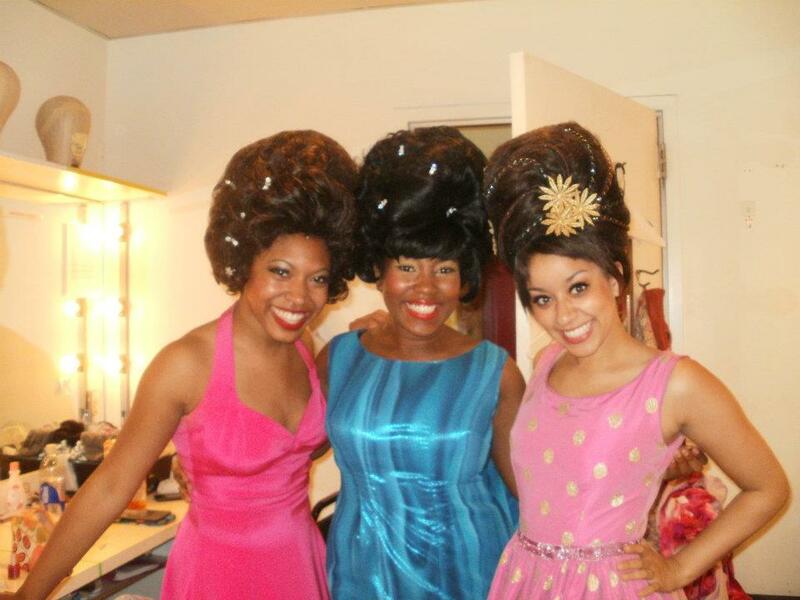 I’ve done 3 theatrical shows since then–HAIRSPRAY at the Fulton Theatre in PA, HAIRSPRAY at the Westchester Broadway Theatre in NY, and ALL SHOOK UP at North Shore Music Theatre in MA. It’s been quite a year! In the meantime I’ve been making music. I just completed preliminary production and release on my first EP album, VOICES OF PEACE. It was released to the sponsors in October. It’s a collection of original music, mostly a cappella, that revolves around the central theme of peace, love, and positive change. Three of the four songs can be heard on my ReverbNation page, ReverbNation.com/MiaMac and on my website media page, www.miamichellemcclain.com. The project started out as a Kickstarter campaign and blossomed from there. Truly, it was one of the hardest, yet most rewarding things I’ve ever done in my life. Keep an eye out for the official iTunes release coming soon! Other than that, I’ve been collaborating with many artists, both musically and theatrically, and living the dream in NYC! 2. We remember you having a blog called Conversations with Mia. Are you still blogging? If so, what about? I’m trying to blog. It’s just so hard and time consuming. I usually write about something when I’m inspired. Sometimes that inspiration comes and sometimes it doesn’t. I still take notes and record conversations with myself. Who knows? Maybe one day I’ll write a book. 3. How have you been using your artistic influence? I’m trying to make an impact in urban communities by promoting music and art that inspire and encourage people to be better. With the release of the VOICES OF PEACE EP, I hope to promote it in a way that will change people’s perception of what good music is and how it can change lives. There’s just not enough positive art in the world that is commercially supported. We need more of that. I think people are more influenced by the media than we think. Positive media=Positive change. 4. What are some struggles you think women have in the Art world? Women in every field are still trying to find balance between their careers and their personal lives. In the art world, it’s no different. A lot of female artists are very independent. We do what we have to do in order to do what we want to do. Our brains are a conundrum of intellect and freespirit-ness. We must be strong enough to withstand the business, yet vulnerable enough to be able to create the art that we were destined to create. It’s quite the journey. Even in the art world, we must assert ourselves so fervently in order to be taken seriously and understood. It’s the struggle of the century. My suggestion is to have a team of people working with you–business manager, personal assistant–who can do all of the dirty work for you, allowing you to focus purely on your craft. that’s easier said than done. I’m still searching for the right team. 5. Why is it important for women to embrace their art side? No matter your profession, art allows you the freedom to express what you may not normally be able to express in the office, in your home, in your church. It’s easy to get caught up with familial and work responsibilities, going from one thing to the next, without ever taking a moment to breathe. Art allows you a moment to breathe…or it should. The hardest part about being a professional artist is trying to rediscover the passion that initially set you off. When your art becomes your job, you STILL have to find those moments when you can breathe into your art. If not, the expression of art is there but the freedom isn’t. People should embrace the arts so that they never lose freedom. 6. Where can we go to learn more about what you’ve been up to?